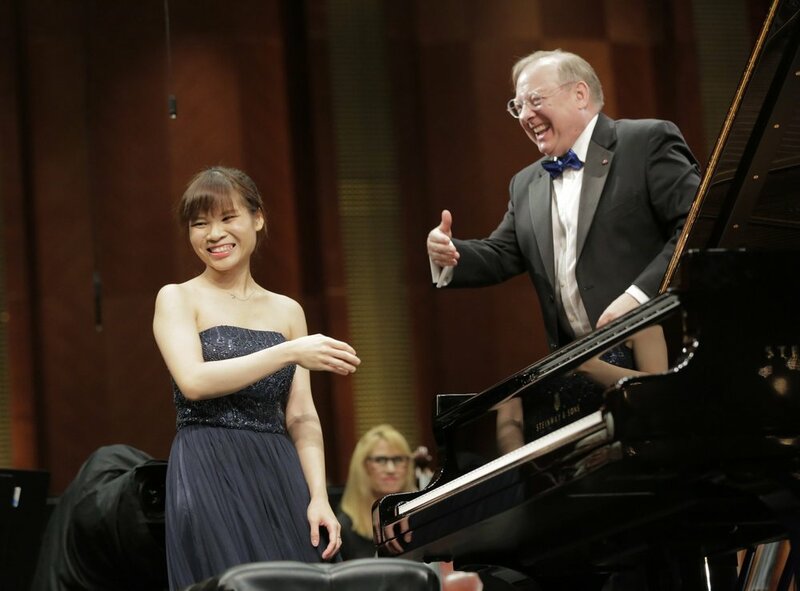 Rachel Cheung and Nicholas McGegan at the Cliburn Competition. As anyone can imagine, performing at the Cliburn Competition is high stakes! Watch Rachel Cheung deliver an exquisite interpretation of Mozart’s Piano Concerto No. 20 in D minor, K. 466. The video has aerial shots of the keyboard for optimal viewing. Maestro Nicholas McGegan conducts the Fort Worth Symphony at the 15th International Van Cliburn Competition. Hear Rachel Cheung LIVE in Portland on DEC 1 / 2 as she performs back-to-back performances with more Mozart, Schumann, Schubert, Liszt, and more.